The most important event in the world on numismatics celebrates its 48th edition this year, between 1 and 3 February in Berlin, faithful to its appointment the World Money Fair or World Money Fair will open its doors to its more than 13,000 visitors, if we take into account figures from previous years. 60 Mint Houses from all continents and about 300 exhibitors. Due to the huge offer of present sellers, coming from all over Europe, it will be easier to acquire the coins we are looking for. This year the guest of honor will be the Austrian Mint, which in 2019 celebrates its 825th anniversary. Collectors of 2 euro commemorative coins can be made with the first coins of the year. As usual, there are countries that make the celebration of the fair coincide with the issuance of some of their currencies. Surely you can get your face value, that of Germany for the 70th Anniversary of the German Bundesrat and that of France for the 30 Years of the fall of the Berlin Wall. 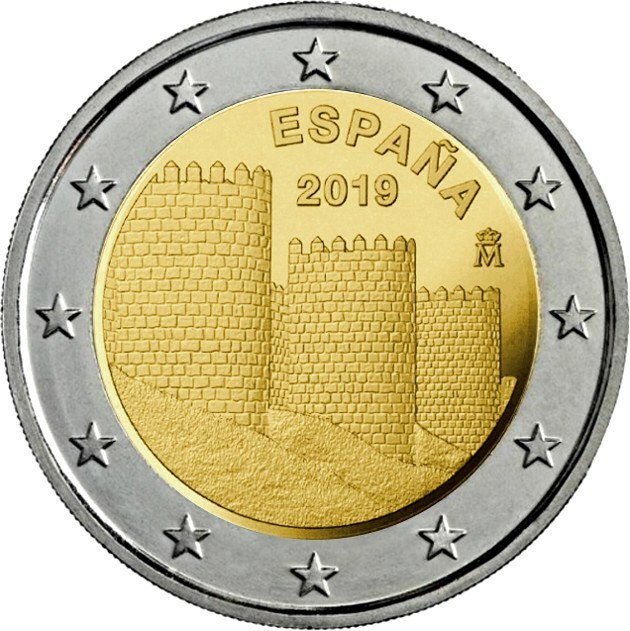 From other countries we may be able to see a coin already coined, or its design unveiled, such as the one dedicated to the 60 Years of Asterix that will be issued by the Monnaie de Paris on April 28.
and its churches outside the walls, in which the Wall of Ávila is represented, a coin that It will be put into circulation, probably, a few days after the end of the fair. 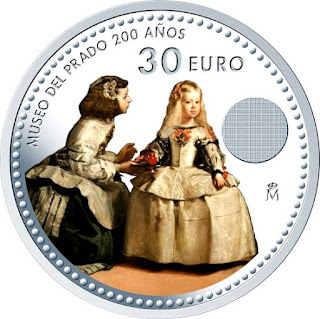 The 30-euro coin will have as its theme the Bicentennial of the Prado Museum, in which the Las Meninas painting will be represented. 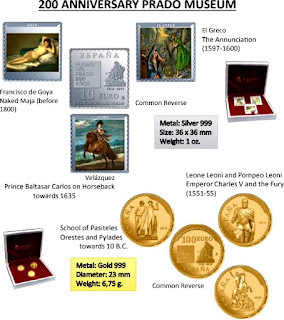 We will also have six other collector coins dedicated to the same theme, three silver coins with a square and colored shape, and three gold coins. In all of them, paintings and sculptures located in the Prado will be represented. This year the series "Numismatic Jewels" continues, in which coins from the House of Habsburg will be replicated. 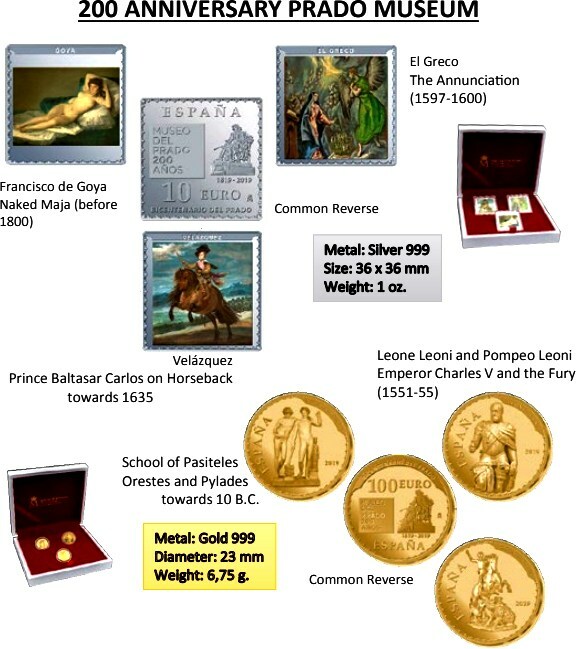 The series of coins of the European coinage program "Épocas de Europa " will be dedicated to the "Renaissance", as in the previous edition, a gold coin and a silver coin will be issued.
. This coin will be part of a collection of 4 pieces that will be issued during four years, one per year (2019-2022). 2019 marks the 50th anniversary of the arrival of man on the Moon, a fact for which the FNMT will issue, like a multitude of mints around the world, a silver coin to celebrate this event. This year we will also complete the History of Navigation series, with the issuance of the remaining 16 coins. 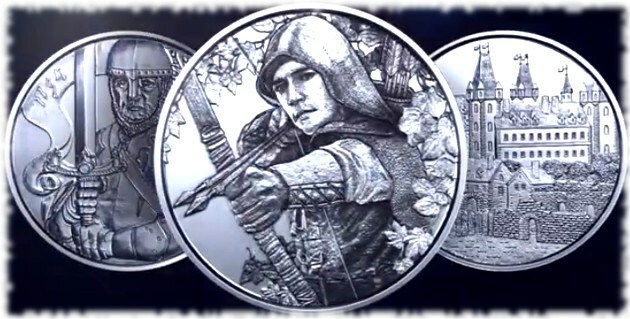 Finally we will have the second coin of 1 kilo silver, with a subject still unknown. 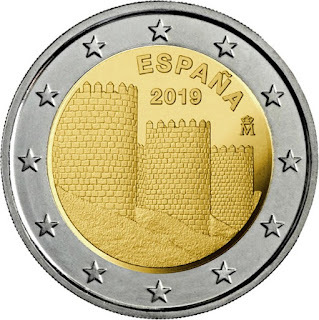 During the fair the portfolio or euroset that each year the FNMT issues for the event will be put on sale, with the contents of the eight regular circulation coins and the commemorative 2 euros with the Muralla de Ávila. As we said before, the Austrian Münzen Österreich will be the protagonist. This year has not yet provided any image of its acclaimed series of niobium coins that in 2019 will have as its theme "Artificial Intelligence", sure that during the event will be announced and sure also that as usual it will not disappoint anyone. What we can see is a video alluding to its 825 years of history where images of some of the emissions that we can acquire in the near future appear. Another country that usually presents its Mint, is Hungary, of which I will certainly have to consider presenting some of its new issues for next year. In Berlin he will present his catalog with the numismatic program of emissions 2019 that you can see here , and that promises some very interesting pieces. Also present will be the National Bank of the Republic of Kazakhstan, which will present, among others, a video showing the wonderful coins that are capable of coining. 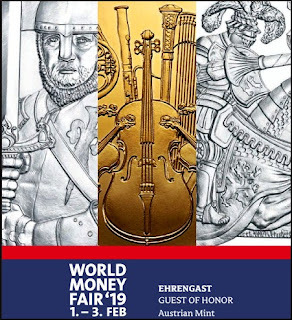 Completing the information, I leave the Catalog of the World Money Fair 2019 PDF , which was published a few days ago. Although it is in English and German it is very interesting. Among other things there are interviews with heads of Mint Houses, which tell us about their future issues along with images of coins of great beauty.